Many of the former students of the Sheldall Schoolhouse went on to lead very accomplished lives, due in no small part to the education they received at the schoolhouse. The children of both the Tjernagel and Henderson families attended the Sheldall Schoolhouse and went on to play a very active role the further development of Story City. While these families are not the only ones to have succeeded after their time at the Sheldall, they were some of the only ones to write about their experiences. Their words give us a glimpse into the past and help us to better understand how the education they received at the Sheldall Schoolhouse helped to benefit them throughout their lives. 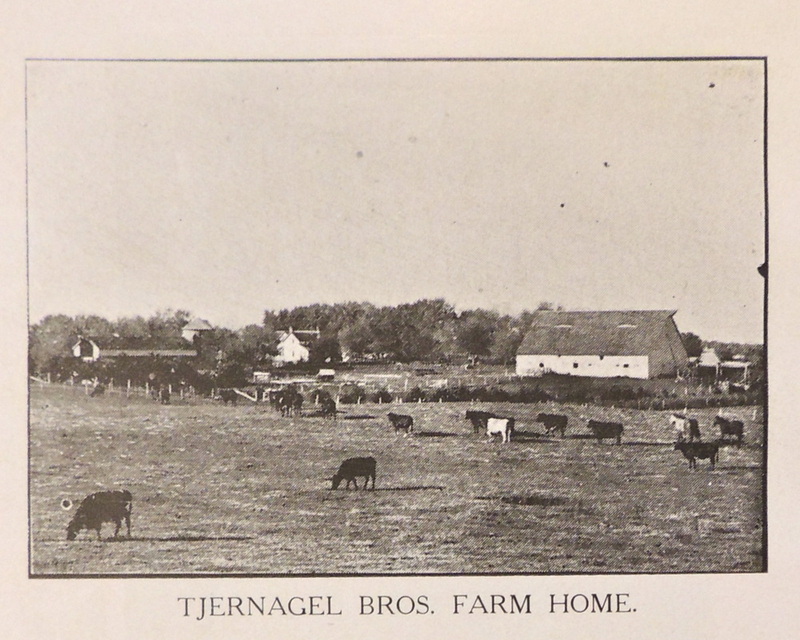 Peter Tjernagel was a student of the Sheldall Schoolhouse and eventually became the patriarch of his family's farm, Follinglo Farm. In addition to farming, Peter also went on to become a published author. "The Follinglo Dog Book," was written by Peter in 1909 using nothing more than pencil and plain old school tablets. "The Follinglo Dog Book," tells the story of Peter's childhood growing up in rural Iowa through the eyes of the family's dogs. It is important to realize that the basic education Peter received at the Sheldall Schoolhouse was instrumental in helping him share his story with the world. Like his brother Peter, Nehemias was also an author, as well as a composer and a musician. He had three articles accepted and published in the Palimpsest and another three published in the Annals of Iowa, both of which are considered to be prestigious historical journals. In addition to his articles, Nehemias also wrote a book titled, "Walking Trips in Norway." Nehemias was also a talented composer and one of his overtures, entitled "Story City," was performed at the Royal Palace at Christiania in Norway in his honor on March 13, 1910. After his time at the Sheldall Schoolhouse, Nehemias was able to expand upon his musical education through piano lessons at Iowa State College and music courses in Germany. After his time at the Sheldall Schoolhouse, Henry continued to pursue his education at Luther College and eventually became a pastor. He also shared his brother, Nehemias' love of music, and acted as the first director of the Roland Band. 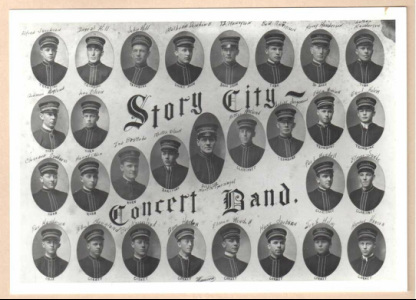 Like his brothers, Martin Tjernagel was also musically inclined and went on to lead the Story City Concert Band. He can be seen here in the center of the group photo. In addition to teaching at the Sheldall Schoolhouse, Captain William A. Weir served as a soldier in the Civil War, acted as an early director of the Riverside Band, and was the first Mayor of Story City. 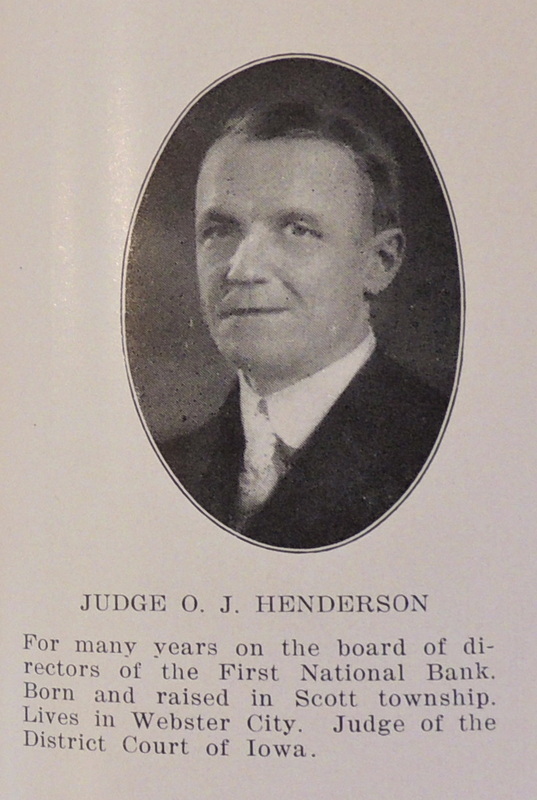 After his time at the Sheldall Schoolhouse, A.M. Henderson went on to play a very active role in Story City. 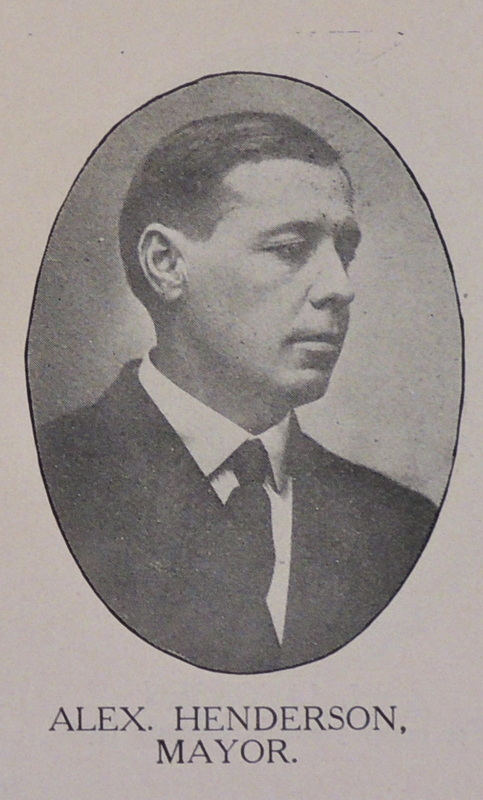 In 1908, he was a charter member of the Greater Community Congress (GCC) and served as its first secretary. Over the next twenty years he continued to serve as either the GCC President or Secretary. 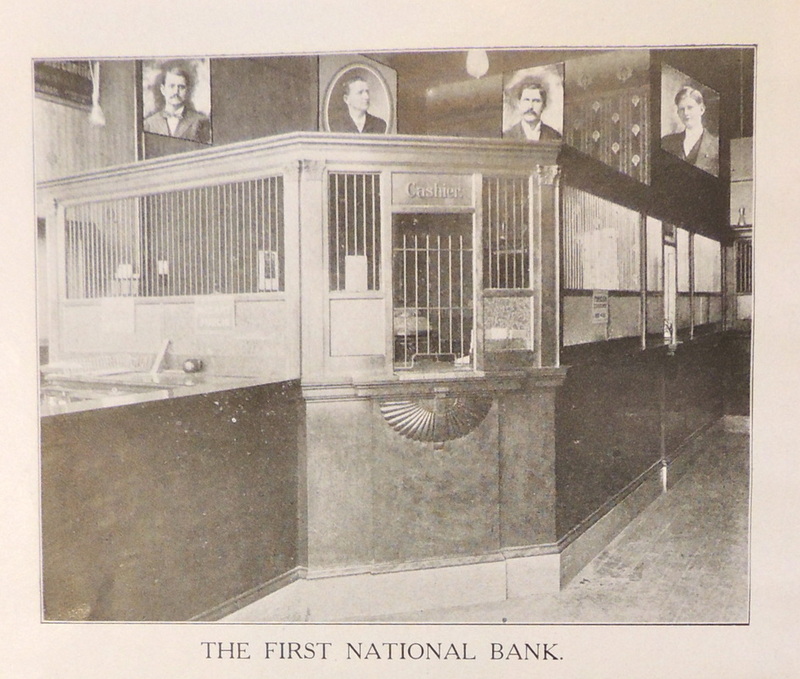 Henderson served as postmaster for ten years, worked as a cashier for the First National Bank in the 1920's and 1930's and eventually succeeded his father as the Justice of the Peace. Henderson also went on to become a published author with his works titled, "Memoirs," and "Historical Events," which chronicle his time at the Sheldall Schoolhouse and his life in Story City. 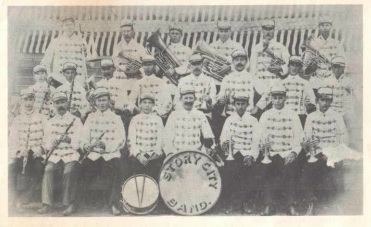 A.M. and Alex Henderson were members of the Story City Band. They can be seen here with his band mates. Third Row: Henry Hanson, Emil Russtad, Henry Larson, Emil Dale, Andrew Williamson, Ben Amlund, Alex Henderson, Even Amlund. Like his brother, Alex was also very involved in Story City, serving as one of the earliest directors of the GCC and a Mayor of Story City. 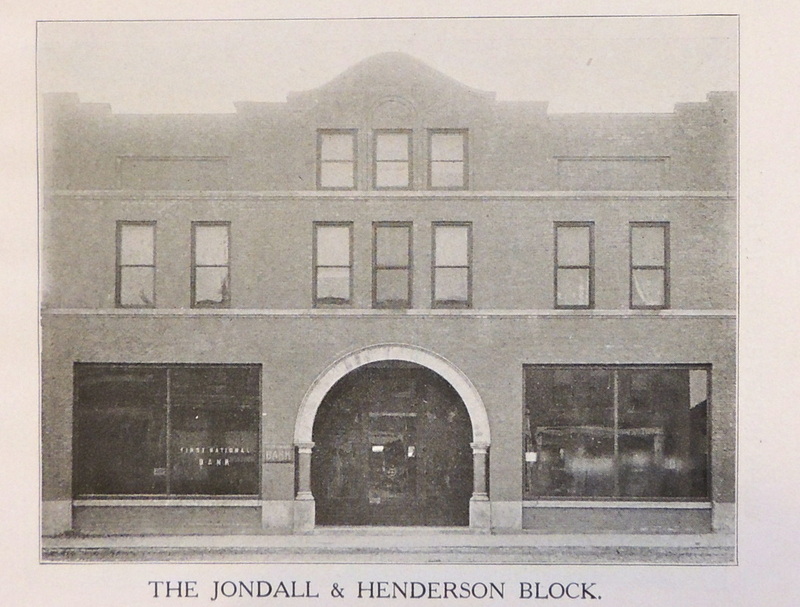 He was a co-owner of Jondall-Henderson Furniture and also a very well respected mortician. Much like Peter Tjernagel, Martin Henderson, who was the oldest of the Henderson boys, stayed on the family farm and went on to become a very prosperous farmer. O.J. was the only one of his brothers to pursue further education beyond that Sheldall Schoolhouse. He used that education during his time as a member of the Board of Directors at the First National Bank in Story City and as a District Court Judge for the State of Iowa. 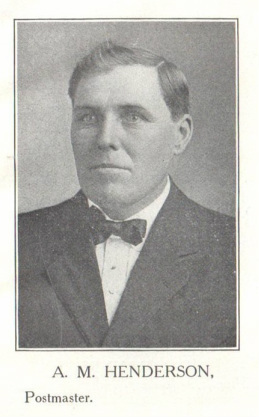 Even after his time teaching at the Sheldall Schoolhouse, O.B. 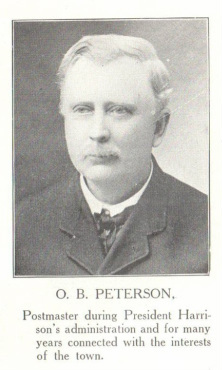 Peterson continued to play an active role in Story City. He went on to serve as both Postmaster and Mayor of Story City.